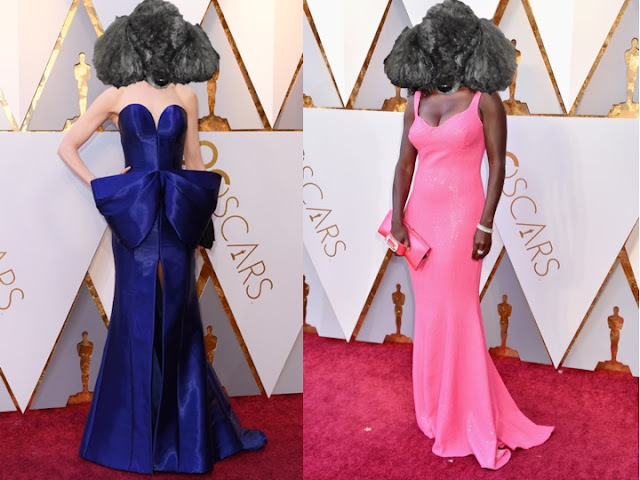 This year it was easy to narrow down my pics from the Oscars Red Carpet. Paws down, Nicole Kidman was the best dressed, so I tried it myself. Blue is not really my color. But my fave dress was absolutely Viola Davis'. Bright Pink and sparkly. It doesn't get any better! Oh I so want to wear that! This year I also picked my fave men's looks . Then I tried them on Titus. He looks so dapper in all of them. 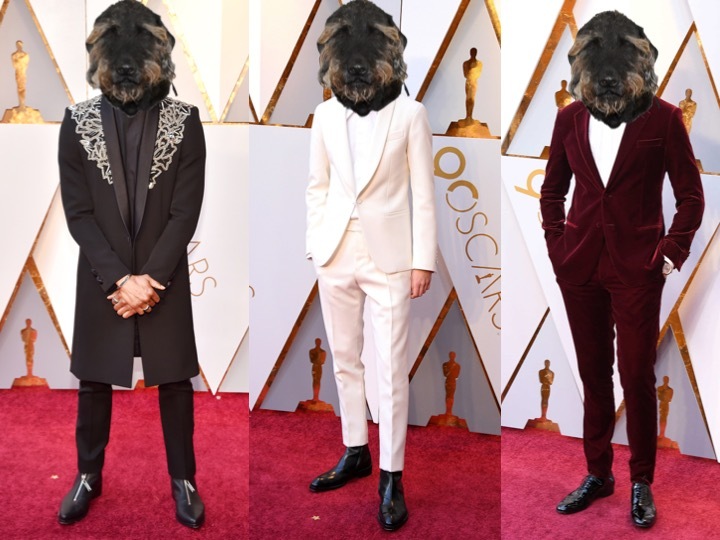 Which is your fave Oscars suit for Titus? You look absolutely stunning in pink. For Titus, I like the one on the left with the scrollwork lapels. It really brings out his light facial furs.